What happened to Florida’s #MeToo moment? As spotlight shifted, the bills all but died. A bill that would have outlawed unwanted sexual advances by public officials has become a casualty of the legislature’s shift in focus. It’s a lesson for what can happen when the pressure is off Florida lawmakers. A month ago, the Florida Legislature was so rattled by sexual harassment allegations that ended the career of a powerful senator and exposed an abusive capital culture that lawmakers proposed legislation addressing the problem and described it as "transformative." 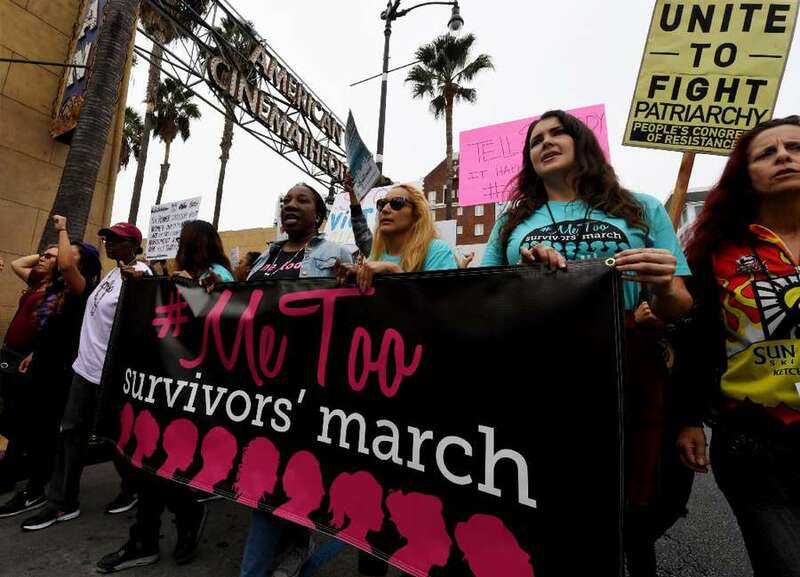 But as the spotlight moved in Tallahassee away from the #MeToo movement and legislators turned their attention to responding to the shooting at Marjory Stoneman Douglas High School in Parkland, the bill labeled by House Speaker Richard Corcoran "the strongest sexual harassment reforms in the nation" is all but dead. The measure, SB 1628, by Sen. Lauren Book, D-Plantation, was passed unanimously with no discussion by the Senate Ethics and Elections Committee in January. But then it never got another hearing and now Senate leaders say they have run out of time for the session that ends March 9. PRIOR COVERAGE: After scandal, Florida Senate ready to make sexual harassment a crime. "It needs a little more time to figure out all that's in there. It will be back. That subject is never finished," said Sen. Dennis Baxley, R-Ocala, chair of the Governmental Oversight and Accountability Committee, who refused to put the bill on the agenda. The bill makes sexual harassment a crime, punishable by the Florida Commission on Ethics. It outlaws unwanted sexual advances by legislators, candidates for public office, agency employees and lobbyists. It imposes new penalties on violators, creates a new victims advocate in each agency, and bans the hiring of so-called "closers" — often young men and women retained by lobbying firms who may be expected to submit to sexual advances from lawmakers in the closing days of the legislative session. In addition to adding penalties for sexual harassment, and encouraging victims to come forward, the House bill imposes a six-year ban on retired legislators returning to lobby the Legislature. It also attempts to end the revolving door between industry and regulators by prohibiting legislators and agency heads from soliciting contracts for employment with the people they regulate. The House will send that bill to the Senate, but the Senate is unlikely to accept it because the measure has never gotten a hearing. "Things are still alive until the end, but it's not moving in the Senate," said Sen. Bill Galvano, R-Bradenton, the incoming Senate president. "It indicates that there may be some issues with the bill." Rules Chair Lizbeth Benacquisto, R-Fort Myers, who signed on as a co-sponsor to Book's bill, said late Wednesday that she didn't know what had happened to it. "I'll check on it," she said. It is all a part of the internecine feud between the Republican leaders in the final days of the annual legislative session. But it is also a window into what happens when the spotlight dims on an issue which lawmakers have spent years avoiding. Senate President Joe Negron vowed to make substantial progress in addressing the issue after a Senate investigation found probable cause that former Sen. Jack Latvala violated misconduct rules by harassing Rachel Perrin Rogers. The report also found Latvala may have violated public corruption laws when he sought sexual intimacy from former lobbyist Laura McLeod in exchange for legislative favors. Latvala resigned a day after the report came out, and the Florida Department of Law Enforcement began an investigation, which is still pending. McLeod, the witness who provided corroborating testimony to the Senate special master examining the sexual harassment claims against Latvala, was interviewed by FDLE investigators this week. Negron strengthened the Senate rules relating to sexual harassment, but those rules die unless the incoming Senate president reenacts them. Book said she is not ready to give up and is working to add the new sexual harassment law to other bills in the remaining week of session. "Yes, the things that happened in Parkland have consumed a tremendous amount of time, but I am still committed to making sure that we address the issues that have occurred and been going on here for a very, very long time," she said. "So we are working on language for amendments, and we will continue to push to get this over the finish line." But Senate leaders appear to have already moved on, saying they'll address it in the rules again next year. "That's an issue that's not going away," Galvano said. "It's something that I want to revisit as I go into my presidency." "No, it did not drop off our priority," said Senate Republican Leader Wilton Simpson, of Trilby, but since the Parkland shooting they have "spent countless hours" developing a legislative response to making schools safer. He added: "we are very concerned about the sexual harassment bill … You will see many considerations when we redo our rules next year." Should the Parkland families draw any lessons from this? They have urged lawmakers to consider their proposals a first step and to return to adopt stricter gun laws in the future. "That's one of multiple reasons it is incumbent on this Legislature to act now," said Sen. Anitere Flores, R-Miami. "The families are asking for us to pass something. We have to do it now."